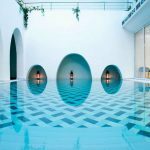 Aegialis Hotel & Spa is built to offer a combination of traditional Amorgian Hospitality and a tranquil & relaxing ambience, in a simple yet elegant setting. This family owned Hotel will provide personalised service from the first to the last moment of your stay. The hotel is arranged in six blue and white buildings set into the hillside, so they all benefit from the dramatic views over the bay. 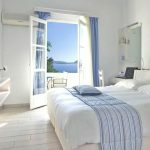 All rooms offer amazing views of the Aegean sea and the Aegiali beach. 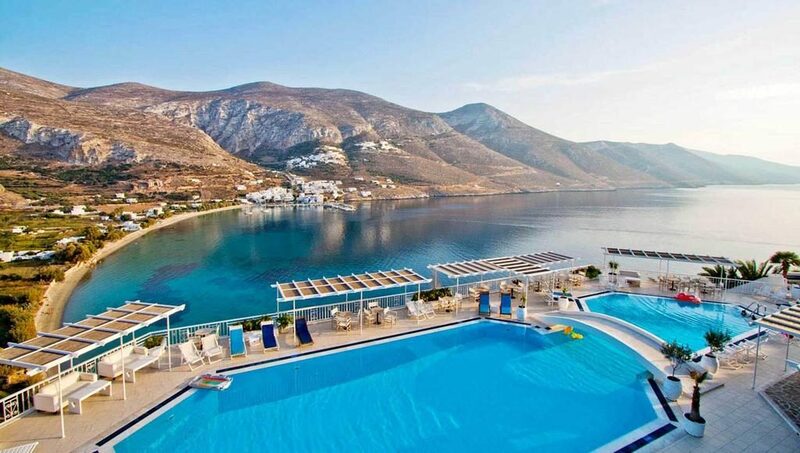 Surrender your mind and body to a world of your well-being at the biggest thalassotherapy Spa centre in Cyclades. The unique Amorgian hospitality in combination with the cycladic beauty promises you memories you will always treasure. Gourmet meals at Ambrosia Gallery Restaurant, the Olympic size sea water outdoor pool together with the Corte Wet Bar, magic nights in Corte Club, the fully equipped fitness Gym, Sauna, Jacuzzi, Spa Jet, Hammam, the Fresh Bar and the advanced Hairy Tales, are included to the facilities of “Lalon Idor Spa". Lalon Idor Spa is well known for its healing and transformative energy, dramatically beautiful landscapes and medicinal herbs that grow wildly on its hills and valleys, as well as its hypnotic blue waters. All rooms are equipped with air-conditioning, hair dryer, safe, refrigerator and direct telephone line. Bathrobes and pool towels are provided.